In "Into the Woods," the Stephen Sondheim musical adaptation starring the likes of Meryl Streep, Johnny Depp, James Corden, Anna Kendrick and Emily Blunt, all of the fairytale characters go into that titular forest to find the things they wish for most -- a child for the Baker and his wife, a chance to go to the ball for Cinderella, a way to grandmother's house for Little Red, and so on. It's fitting, then, that they were a jumping-off point for the film's costume designer, Colleen Atwood. Atwood, a three-time Oscar winner who previously worked with "Woods" director Rob Marshall on two other star-studded musicals ("Chicago" and "Nine"), used the textures and colors of the woods, combined with costumes from various time periods, to make Anna Kendrick a "reluctant" Cinderella, Streep a gnarled (and later glamorous) Witch and Depp a zoot suit-wearing wolf. 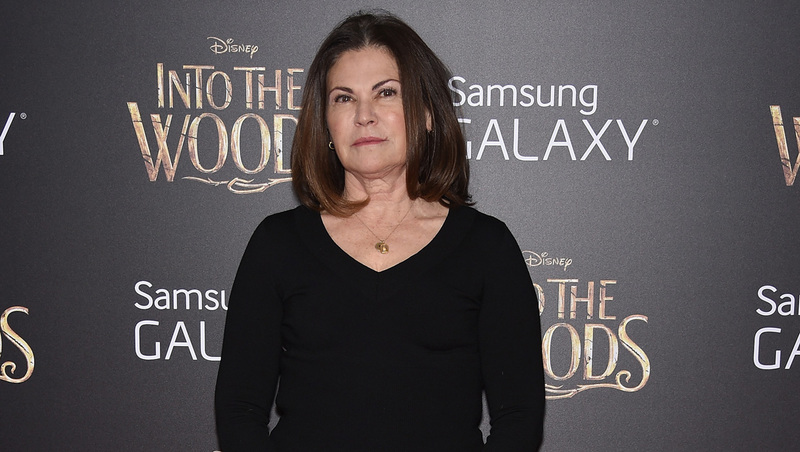 Ahead of the film's release last week, Atwood spoke to CBSNews.com about her "Into the Woods" inspirations, which costumes were the most challenging and her work designing the costumes for "Big Eyes," which marked her 10th time working with Tim Burton. Tell me about the vision you had for "Into the Woods." I went into it as a blank slate -- I hadn't really seen the stage musical, other than on historical videotapes, so I knew the music but not the visuals so much. But I do remember how much everyone loved it - I lived in New York when it was playing but I was not, in those years, able to afford a ticket [laughs]. But the thing that's really great in this process for me, to be able to work with Rob and to work on a musical, is you develop [the costumes] the same way you develop a musical. So you're involved in a rehearsal process and you see how the forest is going to be and you see all these visuals before and from those and from the fairytales themselves, I started brewing an approach to the design of the film. And the woods themselves were also a source of inspiration for the costumes, weren't they? I had this amazing textile department and crafts department, and so the woods were kind of my starting place. Everyone went into the woods, some people, like The Witch, were of the woods -- so I used all the textures from trees and the light and dark of the forest as some of the inspiration and for the patterning and the surface of the costumes. One of my favorites was the zoot suit worn by The Wolf (Johnny Depp). How did that one come about? I did an early sketch of The Wolf where I had the bottom half wasn't like a zoot pant, it was more like a britches, like kneepads from the 18th century, just because -- you know how wolves have those strong hind legs? I wanted to feature that. But then I heard the music and I talked to Rob and Johnny and we were saying, "Oh, maybe it should be a zoot." So we just kind of went for it. The fabric itself I created from photographs and fur that I took and drew a pattern from, and then had an embroiderer embroider really lightly on a wool men's suit, and made the fur out of thread like they used to do in the '20s -- they used to make wigs out of thread and I've always really loved those, so I thought, "Oh, I can make his fur out of thread, instead of having a big fur collar and tail on him." And Johnny came in, and for Johnny that's a cameo kind of part, and he came in and he put it on and he just smiled. It was a great fitting. He had the zoot suit, but other characters had more traditional fairy tale looks. The costumes really had a mix of all different eras. I felt like for me, each fairy tale is set in a world -- like [Johnny] and Little Red's was in that '30s, Swing kind of vibe costuming. Rapunzel and her prince were a little more Renaissance, Tracey Ullman [who plays Jack's mother] and Little Jack were more Victorian, and the Baker and his wife were more like classic fairytale illustrations from throughout time. The Cinderella world I set in the 18th century just because it's so great, when I saw them rehearse I thought "Oh, these kinds of clothes, doing this work with the movement and the singing will be hilarious." I did sort of the birth of farce in [the stepmother and stepsisters'] costumes and then Cinderella's kind of went into that world, but they all had a modern twist to them. Tell me about Meryl Streep's costumes for The Witch -- she has two very different looks in the film. The early one was made of really thin strips of leather I sewed on to a chiffon back and twisted, so it really had the gnarled feeling of a tree trunk. And then in our first meeting she kind of had a blue undertone - the Blue Moon, and all that - so we put blue underneath and blue tips on it, which you see once in a while, you'll get a glimpse of it in her hair and in the costume. And then when she transformed, we kept talking about it with Roy [Helland], her hair and makeup person, with the blue hair, we sort of kept going and going. I mined the texture of her Witch's dress but took it to a whole new -- what somebody would think in that mindset, trying to get inside her head a little bit, what The Witch would think was beautiful - a version of her dress but in blue, with bigger sleeves and a tighter waist and the hair and the makeup and the nails, something she thinks she daughter would think would be beautiful, so she'd be proud of her instead of ashamed of her. It's not exactly in the best of taste, which is kind of a wink to that suburban vibe that The Witch had in the beginning when she's talking about her neighbors crawling over her fence and all that. Were there any characters were more challenging to create costumes for, either in terms of coming up with a concept or executing it? I think the challenge of The Witch's transformation was pretty major for me, but with Meryl in the driver's seat you work it out together and it's a great collaborative process to work with a technician that in the first fitting knows what her movement is going to be and the costume so you make it work for her. And the other one that I think was tricky for me, just from an aesthetic point of view and just getting it to work, was Cinderella's costume. Because I had to make a Cinderella that was reluctant -- it didn't seem to work for her to be in a big pink or the traditional blue Cinderella dress that's like every little girl's dream. She had her mother character in the movie that's in the tree, and we sort of wanted to tie her in. I wanted something that could look like a butterfly wing, like you'd see it and then you wouldn't when it moved. So I found this gold fabric that was just enough to make the multiples and everything I had to make in it, but it took me a while to just get it how I wanted it to be -- a little bit of her mother and a little bit of her and the princess that's kind of a punked-out and modern, like, "Do I really want to be a princess?" kind of feeling in the dress. You also did the costumes for "Big Eyes," with Tim Burton. Totally different kind of film than "Into the Woods." Yeah, very different - and a wonderful movie. It was interesting to get inside Tim's head once again, looking through his eyes at the world of Margaret and Walter Keene. We had a lot of great real research, pictures of them to work with the cast that I had in that film, which was an interesting and really cheerful cast -- the atmosphere was enthusiastic and about making kind of a more minimal movie, and really duplicating a way of life in a certain time period. It's very bare bones. Very kind of about taking away, peeling away and getting to the heart of this dysfunctional people and the world they were coming up through, which I think was a really interesting and tricky time in America, the '60s. A lot was going on in people's lives and the way they chose to deal with it - it's a fascinating story, you can't believe it's real. And there's also Tim's connection with suburban art and what that meant, popular art. It was really the beginning of that as we know it today. "Big Eyes" is the 10th film you've done with Burton -- it's obviously a partnership that's worked well for both of you. It's such a lucky guess that I met him when I did in my life and have been able to collaborate with him over the years on so many different things. But it's always a new challenge and I always like to challenge myself to come up with something that we haven't done before. I just finished the sequel to "Alice in Wonderland," which Tim produced but didn't direct. That was a huge long job which was really amazing and fun, and right now I'm prepping Tim's next film, "Miss Peregrin's Home for Peculiar Children" and a sequel to "Snow White and the Huntsman." "Into the Woods" and "Big Eyes" are both in theaters now.